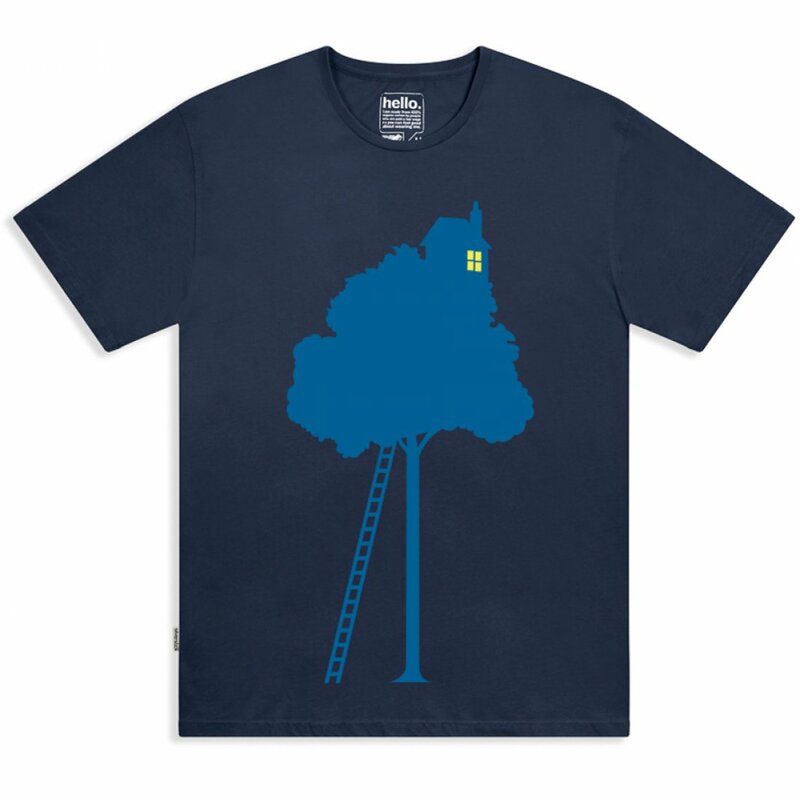 Super soft organic cotton Silverstick t-shirt hand screenprinted in the UK with a large treehouse motif in navy. 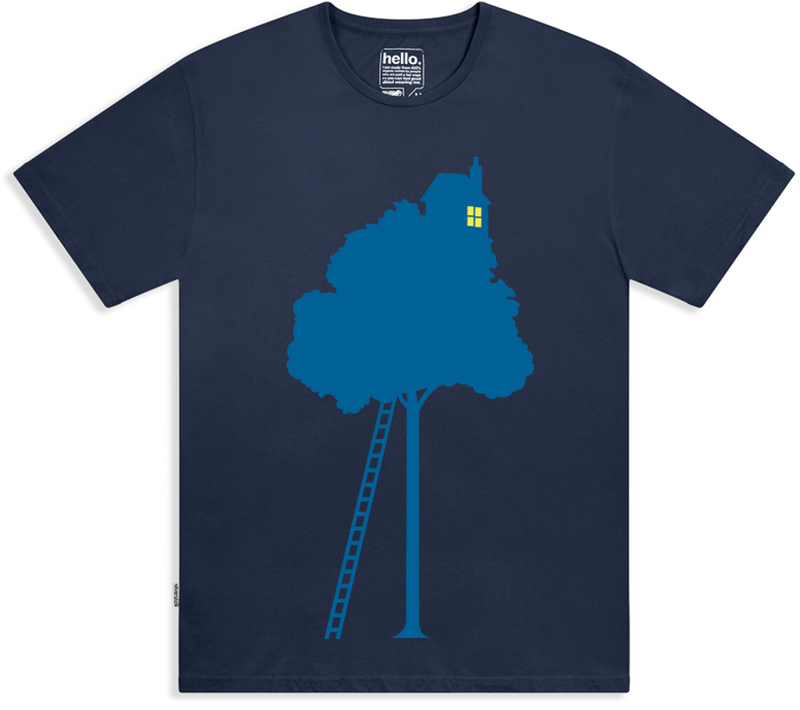 The Silverstick Men's Organic Cotton Treehouse Tee - Navy product ethics are indicated below. To learn more about these product ethics and to see related products, follow the links below. 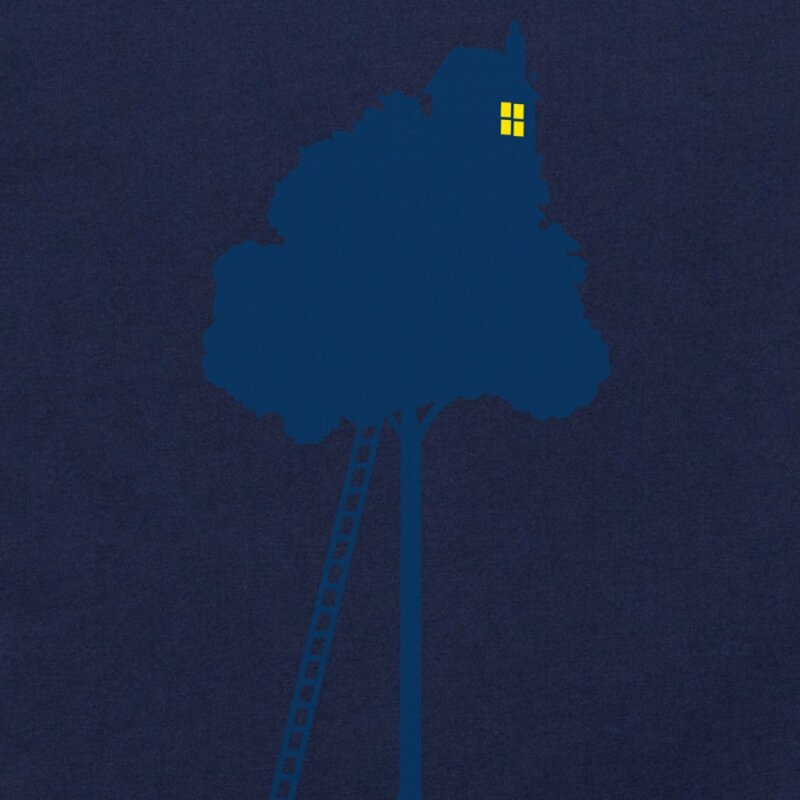 There are currently no questions to display about Silverstick Men's Organic Cotton Treehouse Tee - Navy. The Silverstick journey started in 2010 when a love of adventure and the environment inspired them to create a collection of T-shirts for people who enjoy outdoor sports and activities. Silverstick wanted to put the outdoors and sustainability at the foundation of their design. Buy once, wear often, love forever was epitomised by their made for life ethos. So they sourced high quality organic cotton fabric, created an active fit, flat locked every seam for greater comfort and hand printed the tees with outdoor motifs in eco-friendly inks. Since then Silverstick has expanded their men’s and women’s ranges, continuing to develop products with an active ethos and strong connection to nature. They call them adventure goods as they are perfect for exploring the ocean, the trail and the mountains. Whether you use a board, a bike or a camera, the outdoors is your playground. Explore more in British adventure goods made for life.